A couple of weeks back, I shared with you about Schick Hydro Silk's campaign for Taking Stride and Sharing Stories gallery. This campaign was designed to honor women who take stride in their every day lives and uplift and inspires those around them. Well I'm happy to say that the gallery is now live and running. You can check it out HERE! You may even find your story you shared on Just Us Girls featured on the gallery. To celebrate the opening of this gallery, Schick will be hosting a twitter party this Thursday, May 29th at 9:00 PM EST. The people over at Schick will be sharing lots of inspiring stories about women in their lives and you can do the same. Along with sharing stories, you can also win some amazing prizes as well. To participate and join the party all you need to do is follow @HydroSilkCA and tweet with the hashtag #StrideswithSchick! Not only is there a Twitter Party where you can win some goodies, but Schick Hydro Silk is also hosting a month long Twitter Contest too! The contest will run from June 2nd to June 27th. All you have to do is follow @HydroSilkCA, share a story about a woman who has inspired you, using the hashtag #StrideswithSchick and that's it. Schick will be randomly giving those who tweet, with prizes throughout the month and at the end of the month there will be a grand prize given out, a $1000 Visa Gift Card! How awesome is that?! 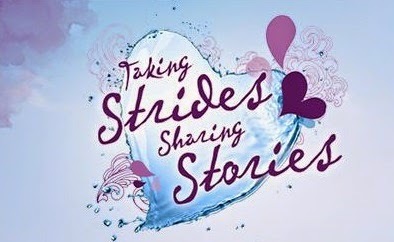 If you have yet to share a story about a woman in your life that you deserves to be recognized in any way, be sure to head on over to the Taking Stride and Sharing Stories Gallery. Also, be sure not to miss out on both the Twitter Party this Thursday and the month long Twitter Contest in June! Disclosure: Compensation was received in exchange of sharing about the Taking Strides, Sharing Stories Gallery, Twitter Party and Contest but All opinions are my own.